Those were the words of Kaizer Chiefs head coach Steve Komphela after yet another cup competition failure. 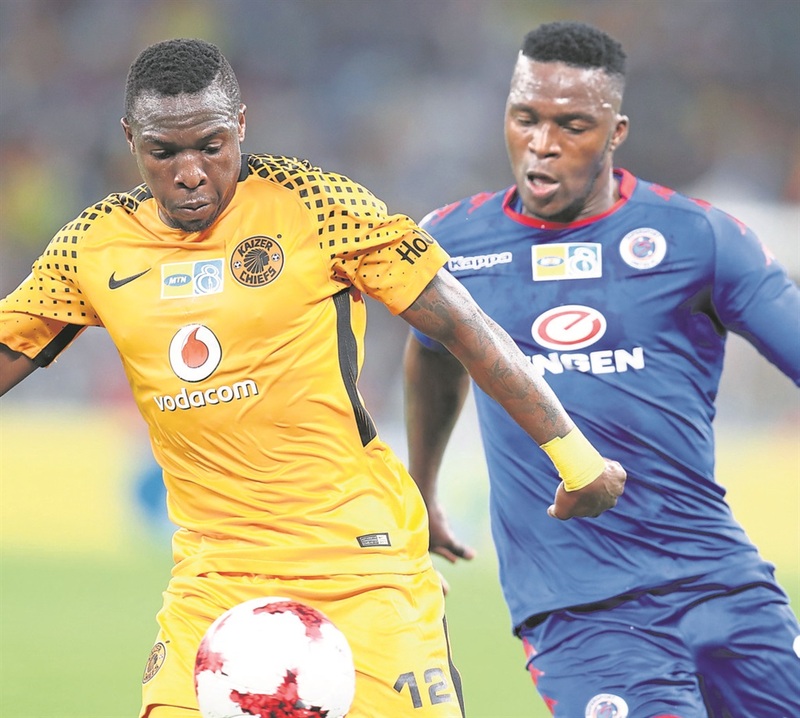 Chiefs lost 1-0 to SuperSport United in the MTN8 quarterfinal at Moses Mabhida Stadium on Saturday. Komphela’s first two seasons at Chiefs saw him finish the run without bagging a single trophy and on Saturday he started the last year of his contract at the club the same way he started the first one two years ago – with failure in the MTN8. Komphela, known as a man of many words, said no one was to blame for what happened in Durban – but everyone would take responsibility. “If luck is not on your side there is nothing you can do. We played beautiful and entertaining football the way Chiefs are supposed to play, but we couldn’t score,” said Komphela. “It’s not that we did not try to score – we did but the ball did not go in. We hit the posts three times. The dejection was written all over the faces of those in black and gold at Moses Mabhida Stadium after the match on Saturday and some supporters made it clear they want Komphela gone. The former Maritzburg United and Free State Stars coach said he understood where the supporters were coming from. “It saddens me to see supporters disappointed and I understand. “Apart from the goal, I would like think that they enjoyed the football we displayed,” said Komphela. “If you want to talk about whether I’m feeling the pressure after this defeat, my answer would be that it never left. The pressure is always there – it does not leave, whether you do well or not. Komphela added that there was not much left to do before the start of the Absa Premiership this coming weekend. He said the only concern was that his lads were not scoring – but he applauded them for trying. Amakhosi open their league campaign away to Bloemfontein Celtic at Free State Stadium on Sunday (3pm). Cape Town City’s new coach Benni McCarthy got off to a winning start when the Citizens beat Polokwane City 1-0 at home in Saturday’s other MTN8 fixture.